I guess this is one of those articles that I just “had” to write, but chances are, you probably already heard about it. 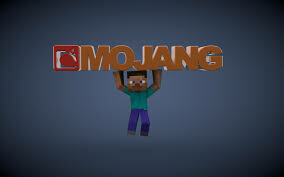 So, here it is: Microsoft has bought Mojang, creator of Minecraft. If you don’t know what Minecraft is, all I have to say is: where have you been? My kids are into this game that allows for building all kinds of things with 1 x 1 blocks. In all honesty, I actually have deliberately not played this because I have heard how addictive it is. I’m not certain what it means that Microsoft owns Mojang. I suppose it will be idealized for Windows, but there is no way the company should make it exclusive to the Xbox One. It is already available on mobile platforms for Apple and Android. So how much did it cost? About 2.5 billion. I’m not certain how much this will help Microsoft.